These questions spur a conversation about Afro-textured hair that should be occurring. The lack of this conversation has resulted in discriminatory events, for example, this past week Tiffany Bryan, a 27-year-old cancer survivor from New York, was fired from her job for wearing an Afro. This event is not the first: Within the last 12 months soldiers in the military, grade school students, university students and hard-working members of society have been discriminated against because of their hairstyle. These women wore their hair in Afros, twist, dreadlocks and braids not because of some hair fad, but because these styles are essential for their texture of hair. Each of these events, created by a lack of fundamental knowledge on Black hair, offers an opportunity for us to talk openly about the hair of women of color. If the people that committed these acts of discrimination understood that the morphological differences of Afro-textured hair requires a different type of hair care and hairstyles than other ethnic groups, future events of discrimination can be avoided. There are five classifications of Afro-textured hair, all of which are variations of curly hair. These classifications range from a looser curl texture to a tightly curly or coily texture. While the biochemical composition of Afro-textured hair is identical to that of Caucasians and Asians, it is its morphological difference in elasticity and comb-ability that causes Afro-textured hair to have different needs. 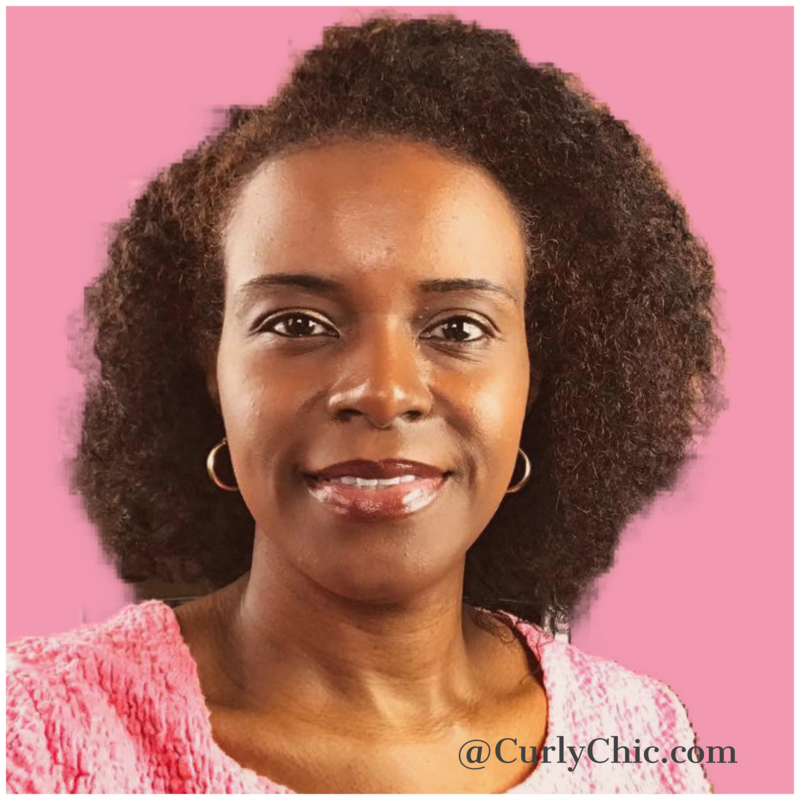 This curly disposition leaves the hair more susceptible to breakage. Styling tools such as combs and brushes, for example, force the curls to elongate, but the curls naturally resist, resulting in breakage. Delicate care is thus needed to preserve hair growth and avoid hair damage. The curliness of Afro-textured hair also causes it to have less moisture content than other ethnic groups. Every ethnic group’s scalp naturally produces a lubricant called sebum, which is an oily substance that moisturizes and protects the hair follicle. Water is the second source of moisture that all ethnic groups need to moisturize their hair. Both sebum and water travel down the hair shaft to lubricate the hair, but when these two elements are not able to travel all the way down the hair shaft or absorb into the hair strand, it leads to dry hair. The shape of curly hair, especially tightly curly hair, does not create a straight path for sebum and water to travel all the way down the hair shaft — this is why afro textured hair looses moisture quickly after washing. Dry hair, or hair without moisture, reduces hair pliability and makes it even more difficult to manipulate the hair without breakage, which is one of the reasons that moisture retention is very important for healthy Afro-textured hair. Afro-textured hair, furthermore, does not benefit from daily washing. When hair is washed everyday it is stripped of its natural essential oils, which leads to dryness and weathering of the hair fiber. People with Afro-textured hair already have naturally dry hair so washing the hair frequently only increases this dryness and leads to damage. As explained Afro-textured hair is naturally curly, and there are only two options to keep the hair straight, chemical straightening or heat straightening, both of which severely damage the hair fiber. Chemical straightening, also referred to as relaxers, physically and chemically changes the hair fiber. It damages the hair cuticles by opening up the hair shaft, which makes the hair strand very vulnerable to damage. It also causes damage to the scalp, and since the chemicals in relaxers are said to be toxic there are other health problems associated with its use. Heat straightening with blow dryers and flat irons also damage the hair by harming the hair cuticles and leads to the same problems as a chemical straightener. Keeping Afro-textured hair straight can be unhealthy for the hair, and in the case of a chemical straightener can also be unhealthy for the body. Straightening the hair is a choice not a requirement. Due to the fact that Afro-textured hair is more susceptible to breakage, and cannot easily be straightened without damaging the hair, individuals of color have to wear hairstyles that promote healthy hair, such as dreadlocks, twist, braids, updos, etc. 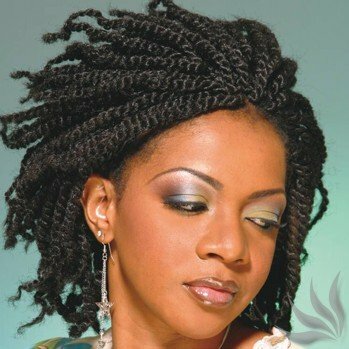 These styles are also referred to as protective hairstyles, because these hairstyles can be worn for longer periods without constant manipulation of the hair. This is one of reasons why the U.S. military’s ban on solders and personnel wearing dreadlocks, braids or twisted hairstyles is unhealthy and discriminatory. Without these styling options, the only options available to them are chemical or heat straighteners that can damage their hair. In addition, the ease of these protective hairstyles allow these women to focus on being a soldier and not worry about straightening their hair. When Afro-textured hair is washed and not styled, it naturally forms into the coiffe that is known as the Afro. Thus, when Vanessa Van Dyke and Tiffany Bryan wear an Afro, they are wearing their hair the way it naturally grows from their head. Or when grade school students, such as those at Deborah Brown Community School, Tulsa Okla., and Horizon Science Academy, Lorain Ohio wear their hair in Afro puffs they are simply taking their natural Afros and styling them just like little girls who wear pigtails or ponytails. Should pigtails and ponytails be banned too? Of course the answer is no, because we are taking away hairstyles that are widely accepted and healthy for the hair. In the last decade, women of color have increasingly chosen to wear their natural curly hair over straightened hair. This has resulted in YouTube channels, blogs and other online outlets dedicated to teaching women how to care for their hair. The hair industry has also shifted, there are now more products specifically marketed and geared to women who wear natural hair. The media and print, furthermore, now advertise more women with natural hair because of its widespread acceptance. Hopefully, understanding these fundamentals about Afro-textured hair will help the U.S. military, schools and employers acknowledge that natural Black hair has a morphological difference that requires different needs than other ethnic groups, and in order to maintain the health of Afro-textured hair it needs to wear hairstyles that promote health. why are they saying "women of color" to refer to black women?